The ancient Vikings were intrepid explorers, constantly pushing the boundaries of ship design and setting out into great oceans to discover new territories. Viking River Cruises, too, is a company known for its vision and innovation, qualities embodied in its beautiful fleet of Viking Longships. Having embarked upon an ambitious new-build program of over twenty vessels - all to their unique "Longships" design - Viking River Cruises sought a publisher they considered able to record the process of concept and design, through to construction and delivery of these exciting and progressive ships in the form of a richly-illustrated book of the highest quality that they could present to their most loyal guests. 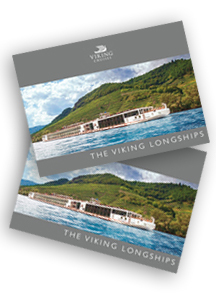 REM Productions were chosen for the task and, in December 2013, THE VIKING LONGSHIPS book was successfully delivered.